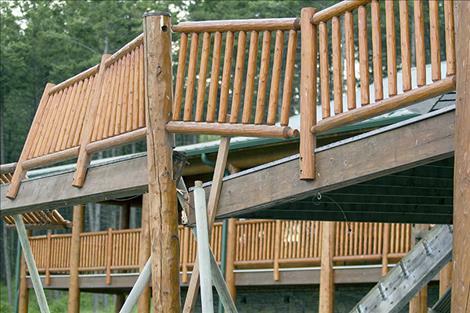 The collapsed deck fell a total distance of 15 to 20 feet. Most of those hurt in the collapse suffered from orthopedic and neurological injuries. 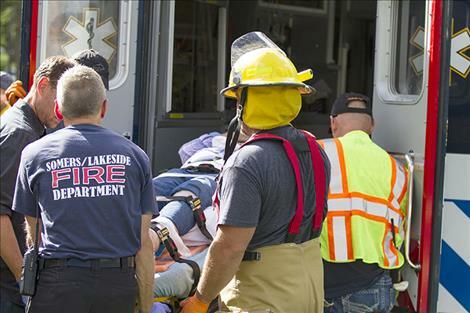 LAKESIDE — Some 32 people were transported via ambulance to hospitals across Flathead, Lake and Missoula counties on June 17 after a deck collapse at Glacier Camp near Lakeside, according to the Somers/Lakeside Fire Department. 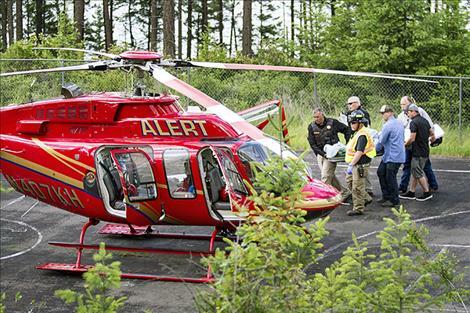 Six people injured were transported by air ambulance. Both A.L.E.R.T. from Kalispell and Life Flight from Missoula responded. Five of those transported by air were in critical condition. Another 10 people were transported by ambulances from Polson, Ronan, and several other Lake County ambulance crews. Lake County Sheriff Don Bell said several police and fire crews from both Lake and Flathead Counties responded to the incident. He said when he arrived paramedics were assessing the injured and transporting those with the most severe need. A responder from Somers’ Fire Department said the second story deck collapsed around 4 p.m. and fell a total distance of 15 to 20 feet. People were reportedly gathered there for a memorial and people of all ages were injured in the collapse. “First responders from Flathead and Lake County did an excellent job coordinating to get the injured taken care of,” Bell said. As of Monday morning, Bell said hospitals in the area have still been receiving walk in patients with injuries related to the accident. According to a statement released by Kalispell Regional Medical Center, more than 50 people were injured and transported to nearby hospitals. Of those patients, 27 were treated at Kalispell Regional Medical Center. They reported that most of those injured suffered from orthopedic and neurological injuries. Orthopedic injuries ranged from ankle fractures to open and closed long bone fractures, many of which needed immediate surgery. As of Sunday, two patients from the accident were still in critical condition and a third was flown to Seattle due to the severity of their condition. Special areas of the hospital were designated for families to meet and receive the latest information on those injured. KRMC reports that employees from across multiple departments and both hospitals worked together to allow for immediate turnover. Bell said there will be no criminal investigation into the matter. Any further investigations will be handled by insurance companies. 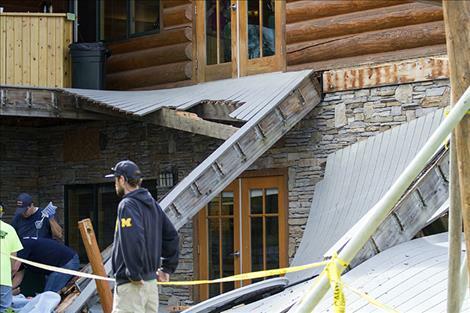 As of Monday morning, phone messages left with Glacier Camp about the collapse were unreturned.